To schedule your free inspection! 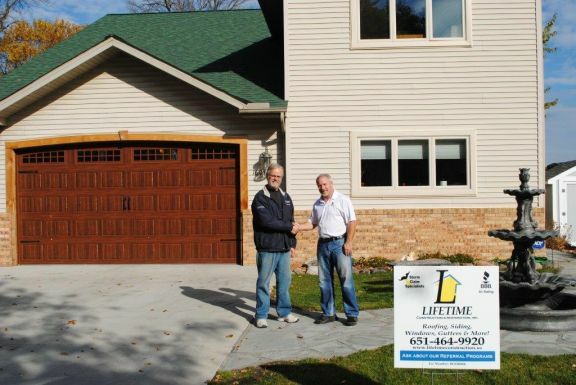 Lifetime Construction and Restoration… Your Minnesota Family-Owned Exterior Construction and Restoration Specialists! When storms strike - you need a Construction and Restoration company that you can trust. The Lifetime team has over 50 years of experience rebuilding dreams and security through experienced project management and quality craftsmanship. When picking up the pieces after a storm or upgrading you home’s curb appeal, Call the team at Lifetime Construction!